Wine is one drink which is consumed by people in almost all occasions, from birth ceremony to funerals. Wine is taken as a mark of the respect, no matter what the situation. However, opening a wine and pouring it into the glasses is one huge task in itself. 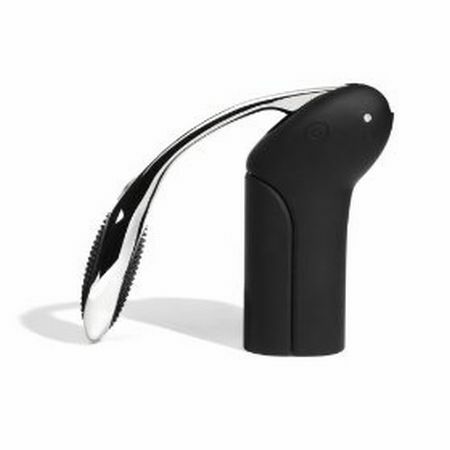 A wine opener is a must-have device to open and pour out the wine. Moreover, wine openers are considered small, almost useless devices, which one can be better off with. But not anymore, for we have brought to you one of the most amazing wine bottle openers that can be used to open wine and show off to people. 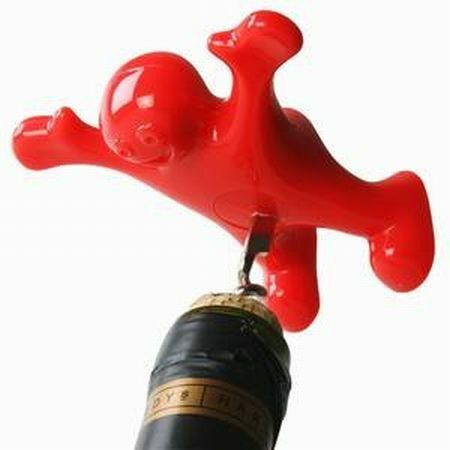 Have a look at the great wine openers listed in the article. This is yet another incredible design for a simple thing like a wine bottle opener. It appears to be easy in use but elegant in style. 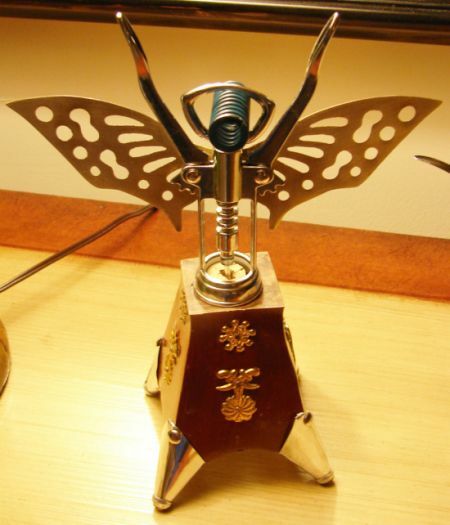 I would personally recommend those, who are not regular at drinking, get this Butterfly Corkscrew as it makes a beautiful artwork for your home décor. The Simpsons has been one of the most popular cartoon series for decades. 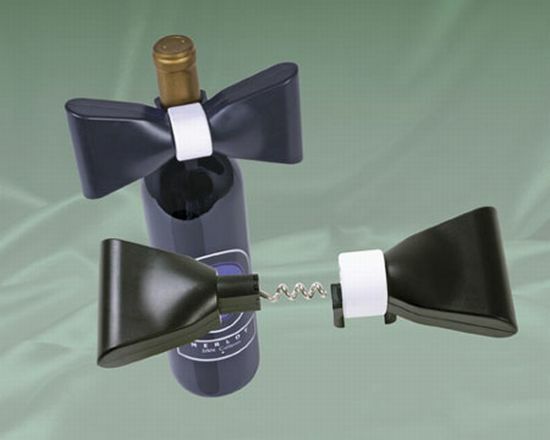 It would not be a surprise to see a wine accessory designed with the theme. However, the new thing in this Simpson Talking Opener is that it talks. I am sure this piece of information will again take the excitement level of all the Homer Simpson fans high. 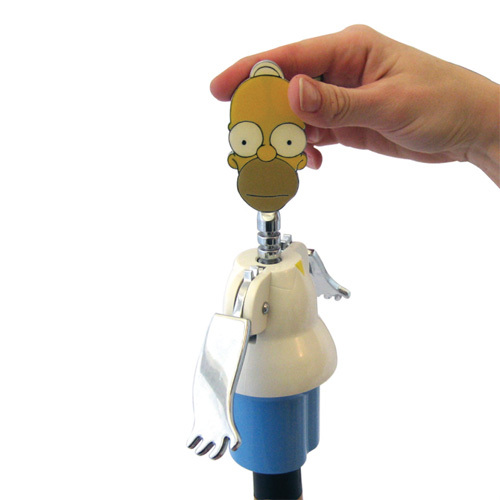 Different from the talking bottle opener, with the Homer Bottle Opener, you need to turn Homer’s head, screw into the cork, and push his arms down to uncork. This can also be a perfect gift item for your friends. 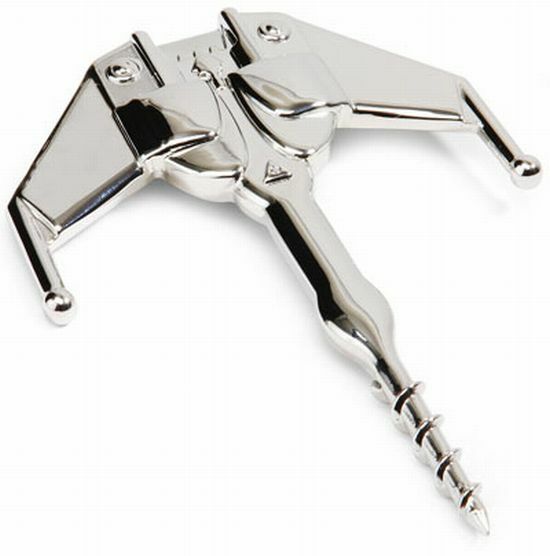 Drinking could never get better without these amazing wine bottle openers. 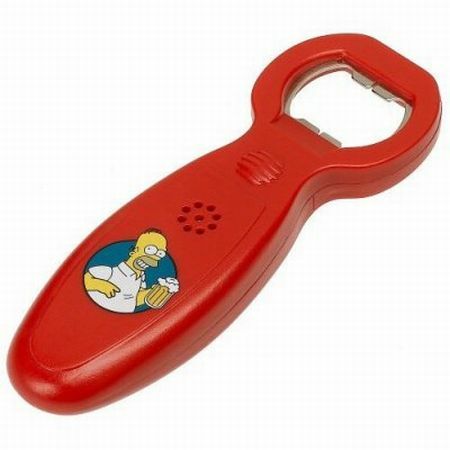 One such design is that of Moe Bottle Opener. Even if you are sitting at home, the design of this bottle opener definitely reminds you of a tavern! 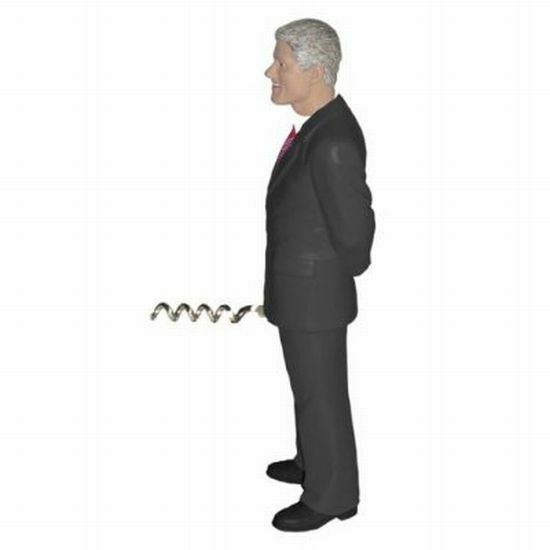 Bill Clinton Corkscrew is one of the most humorous designs. Here, you hold Mr. Bill Clinton and place the screw protruding from his body onto the bottle, unscrew the bottle, and enjoy your wine! 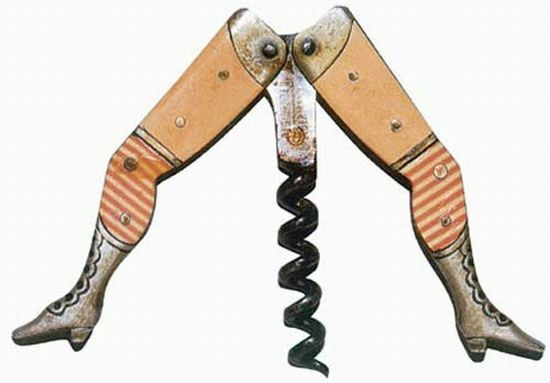 The brain behind this Ah-So Corkscrew must have surely given a thought to the design so as to lure more men towards drinking! Unusual, unique, weird – whatever you might term it, but this is surely an eye-catching design. Not every day is a Sunday. I am sure there are days when you are not happy. 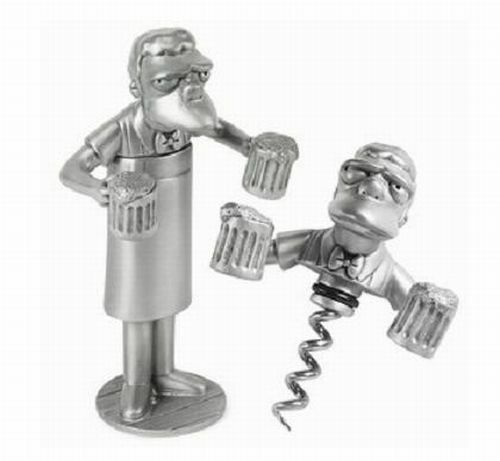 Buy yourself a good wine and turn towards this little Happy Man Bottle Opener. With its arms wide spread, it is all ready to cheer you up! 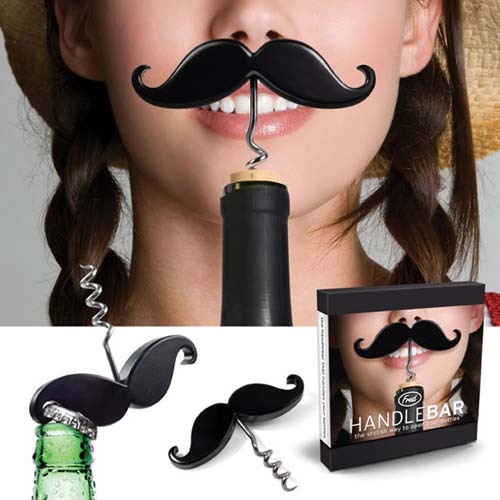 Handlebar Mustache Bottle Opener is artistically created not just for the wine drinkers but for those who drink beer too. Though it looks funny, its simplicity can save you from the embarrassment you might have to experience while using a complicated opener. If you have been a regular at Star Trek series, you will fall in love with this Bird of Prey Wine Opener. Inspired from the Klingon Bird of Prey, this wine accessory can be a major point of attraction when you are all set to party with your friends! After taking a look at this picture, I am sure the first thought that crops up your mind is that if this is some kind of a tool to be used in a brawl. 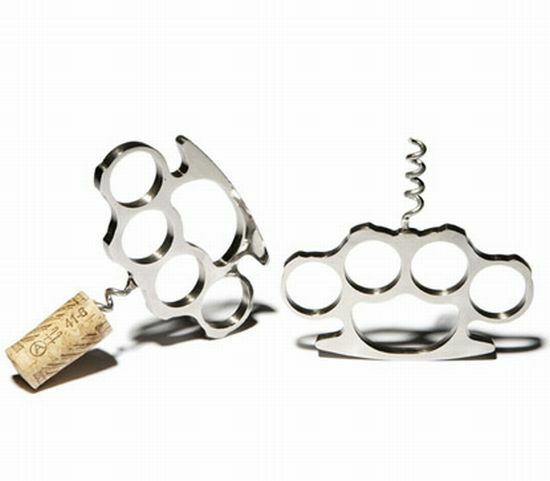 Well, these Brass Knuckles Bottle Openers are new and cool equipments to uncork your wine.. Of course, without any kind of tussle! 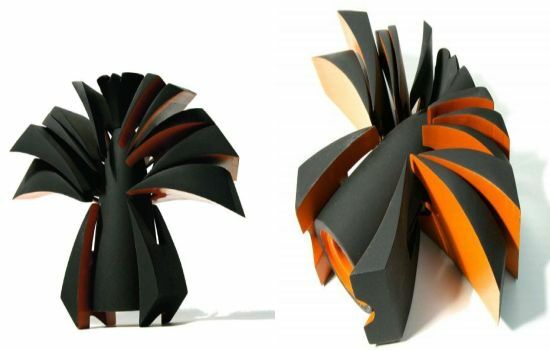 Hinged Wondler is a great combination of past and present art. 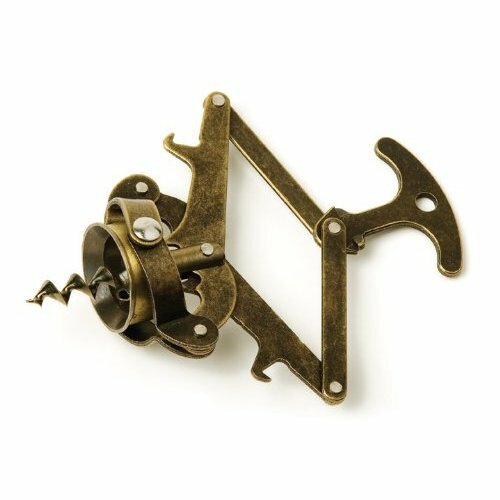 Inspired from the Victorian age, this steampunk bottle opener is a must have for all the wine lovers. It’s neat, attractive, and has an excellent design! Simply speaking, this wine accessory seems to be the most expensive of all the varieties mentioned in this article. Made up of titanium and gold, this Sveid Corkscrew is for all those who don’t mind spending a lot. But one should always keep in mind that looks can be deceptive! 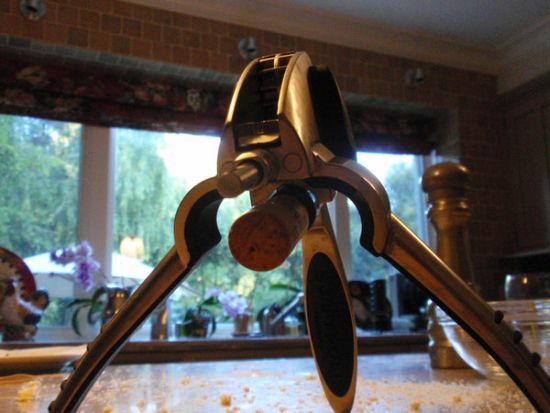 If you are regular at watching movies featuring robots, you will agree that this Wine Bottle Opener resembles a robot. At a closer look, you will also realize this mini robot is just too innovative for anyone to give it a miss. This is a unique wine accessory – not just meant for opening a wine bottle, but also for recording a personal message. Next time, if you organize an official event, keep in mind to include this stylish and amazing Bowtie Corkscrew Bottle Opener for all your beverages! Made up of stainless steel and brass, this Wine Bottle Opener is a concept of Maxx Creations. They are not only designed to give you comfort but have a smooth finish and fine grip too. What’s more? 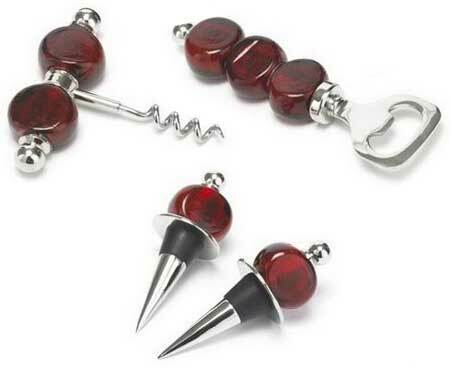 This shiny corkscrew is quite affordable compared to other designs. Few people are too lazy to make an extra effort for opening wine bottles. The rechargeable electric wine opener is the solution for these people. Rabbit Wine Openers are non-electric yet advanced form of the traditional openers. 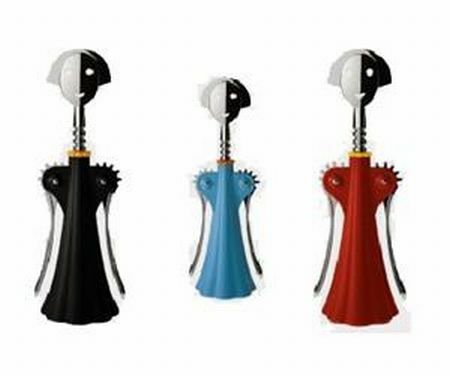 And those, who appreciate innovation, will find these sophisticated cute and colorful corkscrews incredible. Rabbit Wine Bottle Openers have finally answered the prayers of those wine lovers who find difficult using the traditional corkscrews. These wine bottle openers have been appreciated with an award for their unique ergonomic design that gives utmost comfort to the users. If you think this is some kind of a decorative item, think again. Designed by Shelton Davis, this is an innovative wine opener with a floral bouquet design. Don’t you think it is refreshing, colorful, simple, and attractive? Isn’t this cute? 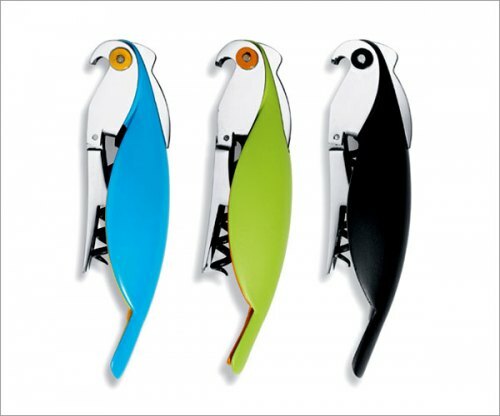 Unlike the traditional bottle openers, Modern Corkscrew displays a completely new and artistic theme. These doll-like figures in blue, red, and black are the new range of wine accessories designed by Alessandro Mendini.